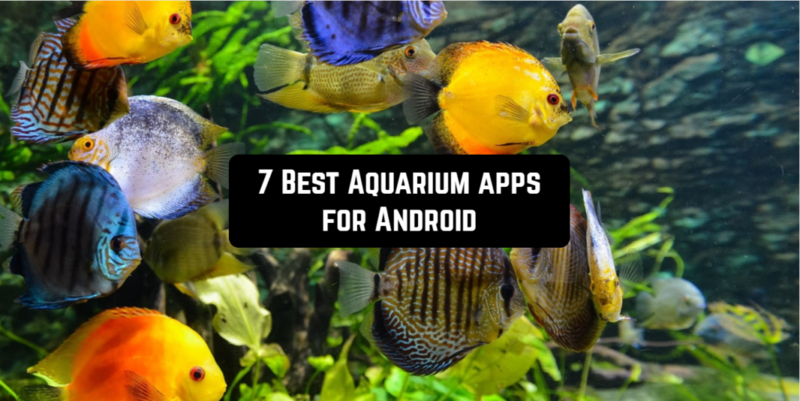 Especially for fans of aquarium fish, this selection was created: managers, games and live wallpapers for your smartphone. Let’s start! 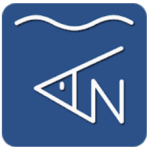 Aquarium Note is a smart aquarium application available on Google Play. Thanks to it, you can enter data about your aquarium into the program: equipment, volume, enter data such as water parameters. As a result, you get a very flexible and powerful tool for managing your aquarium. The application is best suited for all types of aquariums and will allow you to much better plan the further management of its condition. The program allows you to enter the exact data of your aquarium: its physical parameters, parameters of the state of the water, data about the installed equipment and keeps counting from the day of its launch. Entering new data for a certain time, the program will build information for you in convenient schedules and you will be able to track all changes in the system, will be able to accurately establish the cause-effect relationships between certain events. The program allows you to make calculations about the cost of maintaining the aquarium for a large number of parameters. You can even take into account the state of your fish and invertebrates, and the built-in timer allows you to make not complex calculations in real time. At the same time, this is a very interesting and flexible calendar, with reminders, where you can plan certain events and be sure that you will not forget about them exactly. Whether you will do this, it’s another question, but to get out of it with the words ” Eh .. .. forgot “, is unlikely to succeed. Data can be exported as HTML and XML files and of course, the program is suitable for all types of aquariums. Fish Live is one of the best simulators of aquarium life for mobile devices. The game offers a lot of opportunities, realistic three-dimensional graphics, and dynamic gameplay. Choose an aquarium and all the most necessary equipment for keeping fish. Make sure that there is always clean water in it and change it as necessary. Diversify the interior with different backgrounds, decorations, and unusual additions in the form of algae, shells and other elements. Make it even more attractive and cozy. Choose from a variety of fish and learn to take care of them. Feed them and make sure that their nutrition is complete and varied. Is your pet sad? Then cheer it up with fun entertainment. If the fish is sick, immediately proceed to treatment. Still, the main distinguishing feature and even the advantage of this game is that the player can cross various forms and types of fish. Sometimes you can get very unique mollusks, from which an exclusive individual will grow. Watching such beautiful fish will be a great pleasure. After all, it is no secret to anyone that the underwater colorful world impresses and relaxes people. Visit your friends’ aquariums, help them care for their pets and share personal achievements with them. Take photos of interesting moments of the life of the underwater world and place them in a colorful gallery. Have you already imagined yourself as the owner of an aquarium? 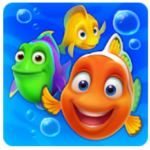 Then download Fish Live to your mobile device and dive into the wonderful world of underwater inhabitants. Do you like to watch the calm life of underwater inhabitants for a long time? Then you will be interested in a new exciting puzzle game Fishdom. 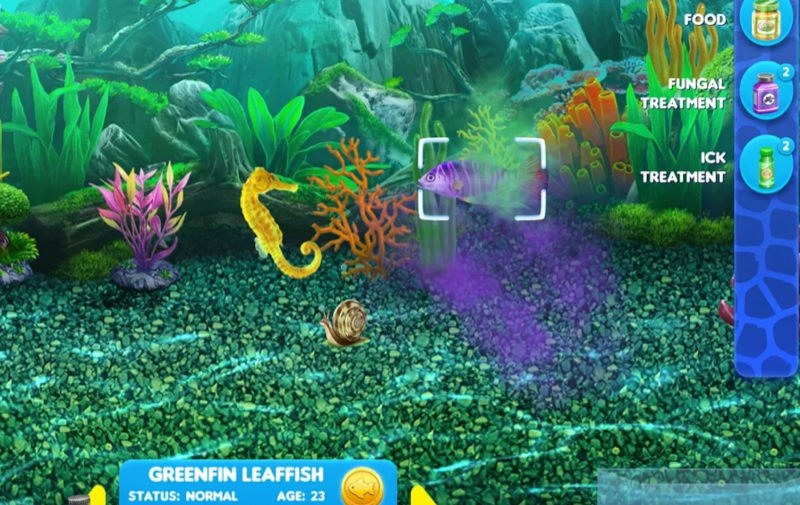 Players will have a possibility to build their own virtual aquarium. Earn money in a quest and use them to decorate or create new aquariums. To do this, you need to bring three quality indicators to the required level. The “Fish” indicator gives information on which fish you can buy. After purchase, they appear in the aquarium. Learn about the habits and character of each pet. Don’t forget to care for them, feed them in time, clean the aquarium and monitor their health. Indicator “Comfort”: buy various devices for your aquarium. These items can be purchased only once, but they need to be constantly improved in order to be able to get a new aquarium. The “Decorations” indicator: shells, seaweed, underwater castles, various figures, and so on can be bought here. These items can be placed in the aquarium where you want. As you progress through the game, it will become more and more difficult, but various bonuses will help you. 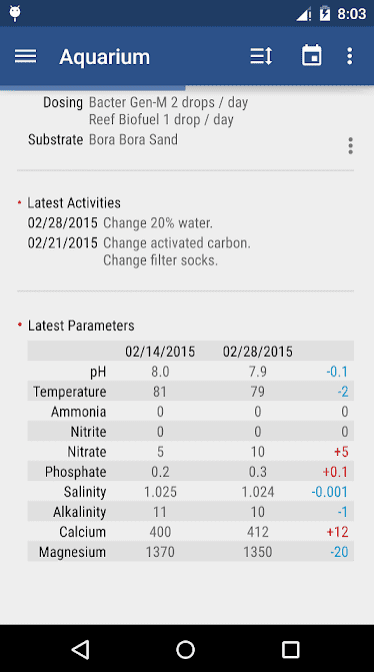 Sometimes prompts will automatically appear that show the availability of various improvements and needs of your fish. Musical accompaniment allows you to relax and fully immerse yourself in the warm atmosphere of the game. You have to go through many exciting levels. Enjoy the beauty of the sea landscape, the colorful three-dimensional graphics, and vivid special effects. Create your own unique aquarium, decorate it with various algae, take photos and share them with your friends on social networks. Impressed? Install Fishdom on your mobile device and go on an incredible sea voyage. And it will bring you a lot of positive emotions. Fish Tycoon 2 Virtual Aquarium – a spectacular mix of strategy with an economic feature and a magnificent aquarium with exotic inhabitants. 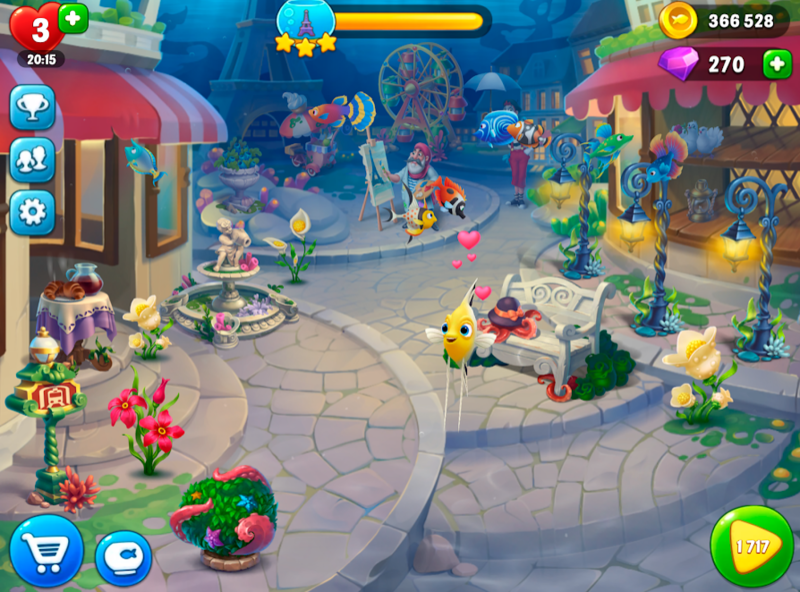 The gameplay involves the breeding of new fish and their subsequent sale to everyone. In the coastal waters of the tropical island, there is very exotic fish. But when a storm of unprecedented power passed over this area, all underwater inhabitants disappeared, perhaps they just floated away to safer waters, and maybe physically disappeared. Now users need to return a population of magical fish, at the same time developing entrepreneurial activity and receiving an impressive income. Our main location, where the main game events will take place, is the virtual aquarium. But you should first get new fish by placing small eggs in the storage tank. After some time, under the favorable conditions and constant monitoring, the lovely fry will appear. 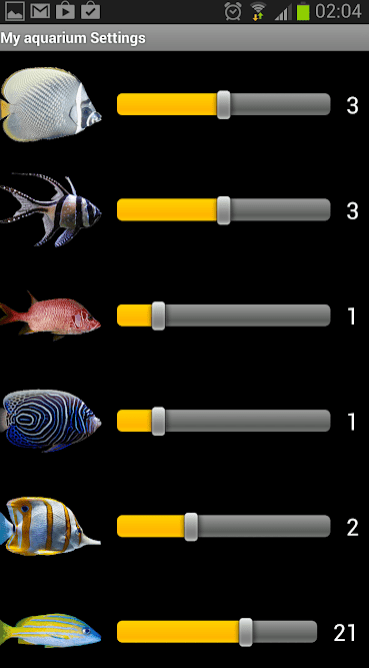 In this case, the eggs in the game Fish Tycoon 2 Virtual Aquarium are of three types: ordinary, rare and exclusive. In order for our wards to grow much faster, you should use special feeds, but for this, you have to spend game currency – pearls bought for real money or for completing additional game tasks. When the number of fish increase, feel free to sell them to everyone. The income can be immediately invested in the further development – new aquariums, food, decorative items and much more. 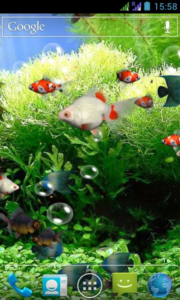 The Real Aquarium HD is a great animated aquarium with fish that will be a good substitute for the boring theme of the main screen of your Android smartphone. In essence, this application is the traditional version of the Real Aquarium application. However, it has a higher quality image, more interesting backgrounds and increased download speed. 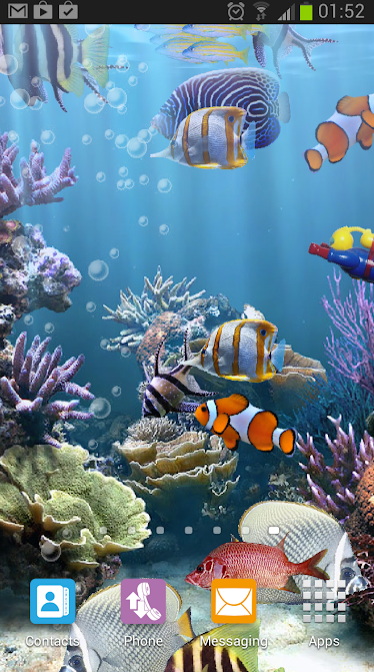 The application is a completely free set of live wallpapers with Caribbean fish for Android devices. Here you will find various backgrounds with corals, various images of the depths of the ocean and much different fish. Moreover, in these live wallpapers, there is an animation of bubbles, lots of light effects and even sounds. Despite all the colorful visual component, the application doesn’t slow down your smartphone and has an extremely low battery consumption. 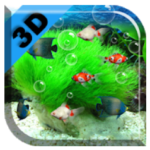 Aquarium 3 D Live Wallpaper is a small application which will turn the screen of your phone into a stunning aquarium with live, moving fish. A high-quality picture will delight you with juicy and bright colors, realistic animation of the water movement, air bubbles and the fish themselves. They swim back and forth, wagging their tails, turn around and change direction. Just like the living. You can feed the fish (by double tapping the screen), the feed appears on top and all the fish rush to the food. If you touch the fish, it instantly slips out from under the finger. The choice is great: beautiful backgrounds with rare colorful corals, scenic underwater rocks and fancy plants. 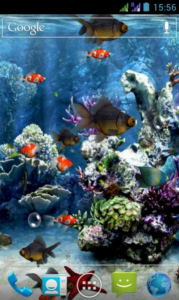 Aquarium 3D Live Wallpaper turns your phone’s screen into a beautiful tropical aquarium with a variety of exotic fish and landscape. The new application aniPet Aquarium LiveWallpaper offers you to create your own aquarium with marine creatures, which will replace your screensaver on your smartphone. At your disposal, there is a large number of different exotic fish. 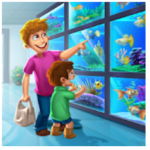 The program is very realistic simulates a real aquarium and perfectly decorates your Android. It will suit everyone who loves the sea and the underwater world. The application has more than 150 fish, you can add 15 fish in one set. Fish can be fed, and their size will increase. There is also a seabed change function that will diversify your screensaver. The program has many advanced settings that change the behavior of fish.